The boot camps are designed with the most in-demand market needs in mind and deliver a dynamic learning experience through the help of expert instructors and TAs. Whether students choose to pursue web development, data analytics, or cybersecurity they’ll be immersed in an intensive educational experience. Applicants do not need prior experience to enroll, but once admitted, all students will complete a pre-course tutorial. 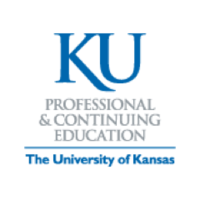 KU Boot Camps are designed for students and professionals or who are actively pursuing a career change, advancement, or are looking to learn a new skill. Students will benefit from a wide range of career services to be positioned for success through graduation and beyond. Services include portfolio reviews, resume and social media profile support, high-impact career events, workshops, mock interviews, one-on-one career coaching, and recruiting advice. Graduates will receive a certificate of completion from the University of Kansas Professional & Continuing Education and will have a portfolio of projects demonstrating a working knowledge of web development, data analytics, or cybersecurity. KU Boot Camps are powered by Trilogy Education Services. Course Report is excited to offer an exclusive KU Boot Camps scholarship for $500 off tuition! Fill out the application below to submit this scholarship to KU Boot Camps. By submitting, you acknowledge that your information will be shared with KU Boot Camps. Having a couple of years of experience in digital marketing, I see how being able to analyze and visualize data is becoming increasingly more important. Many aspects of digital marketing are also becoming more automated, which frees up time to actually perform more data analysis tasks. That being said, I have friends in IT and others that went through a data science bootcamp who I talk to and they advised me to try it out and gain some additional skills which will make me stand out. The bootcamp is challenging, but also very fun. It's fast paced and every class I learn something new. I also like the fact that we have a teacher and TA's who are in the industry, so we are getting first hand knowledge of what the current business world is looking for. My favorite aspect of the bootcamp is not only the applicable knowledge we gain in six months, but also the support we receive from career services who helps me to become employer competitive, by giving much needed advice on resumes, updating LinkedIn profiles, mock up interviews, and more. Advice to anyone thinking about taking the bootcamp is to get prepared that the bootcamp will be programming heavy for the first half and to do the bare minimum of googling the topics covered in the curriculum. Way to go, Giovanni! We're thrilled you chose our program to further your career and learn new data analytics skills. It's great to hear you are enjoying the curriculum and feeling supported by our entire team. We look forward to helping you through the completion of the boot camp and seeing what you will achieve as you continue unlocking new opportunities! The Full-Stack Web Flex Part-Time program is an outstanding introduction into web development. The material covered is extremely current, the instructors are incredibly knowledgeable, and the teaching assistants are really capable to meet the students’ learning needs. The balance between material on the front-end and back-end of web development is good and students graduating from the program, who have put in the time to really study the material, are well prepared to pick up new material on their own afterward. Potential students should be warned that this course is a real time commitment. The ten hours of official instruction per week will generally need to be supplemented with up to twenty hours of outside study per week. That said, the program is a lot of fun, and it is really motivating to be surrounded by so many other people seeking to change their lives by learning to code. The career services offered through the program are good for younger students, who may have never received previous career coaching. However, they could definitely be improved for older students, who may not want to jettison their previous work accomplishments for a complete restart in web-development. Thank you for sharing your review, Patrick! We're glad you enjoyed the curriculum and found our instructional team to be knowledgeable. Like you mentioned, prospective students should take into account that this program requires extensive commitment and time outside of class to master the complex concepts. Our goal is for all participants to complete the course feeling equipped for success as they step out into the job market, providing ample support for those individuals who may have more professional experience, like yourself, so we truly appreciate your feedback. Congratulations on graduating, we wish you all the best in your future aspirations! This course was everything I'd hoped for it to be. There is a lot of material in the course that were all relevant to current technology. So you know what you're learning is relevant to today's standards. It's impossible to learn everything about a specific language. However, the course gave me the tools to continue learning on my own and excel in the field. Thank you so much for your review, Jackie! We're thrilled you enjoyed the curriculum and feel confident learning new web development skills on your own. Congratulations on graduating, we are cheering you on as you move forward! After a year of taking online courses to improve my skills, I decided to totally commit to a 6 month Full Stack Web Development course. It was the right decision for me! The course is loaded with information about many relevant topics that web developers need to understand. There is a lot of information presented in each class so consistent attendance is critical. The instructors and TAs are very knowledgeable and helpful. But, be prepared to put in a lot of study and coding time in order to understand and apply the new information. If you want to be prepared for a job search after graduation, take advantage of the Career Services training that is offered. I think that for all of the training and support that is offered, this program offers an excellent value for the student. I would recommend this course to a friend who is serious about developing their skills. Amazing, Jeff! We're happy to hear you enjoyed the curriculum and utilized all of the boot camp's resources. Like you mentioned, prospective students have to be prepared to study hard in order to truly master the course material. Congratulations on graduating, we appreciate you sharing your experience! We wish you all the best as you continue on in your career. I graduated the KU bootcamp last July and was hired as a back-end web developer shortly after. The bootcamp changed my life. I made so many new friends while I was learning new skills and have connections for a lifetime, and it was really engaging to be there in person vs doing an online coding course or bootcamp. To me, the reputable certificate, the connections and the engagement made it well worth the money and time to go vs teaching myself at home. Their content and resources covered more than I could have dreamed in just six months and I feel it made me confident and prepared for my new job. My professors and TA’s were supportive, knowledgeable and great to work with. I’m so glad I went! Way to go, Kelsey! We're glad you enjoyed the program as a whole and made lifelong connections. Congratulations on graduating and starting an exciting new career path! We are rooting you on as you continue forward. Kansas City Coding Bootcamp is an excellent choice for students who want to jump into Full-Stack Web Development. The first day was a classroom building exercise to bond with each other and network with one another. It was great I made quite a few friends in here that I have been learning with since the beginning of the course. The structure of the curriculum is on a higher difficulty and can be daunting. The resources that are available to you are top-notch and all of it is available to you after you graduate. The key advice is that the more time you put into it the more you will get out if it and not to sit there and struggle by yourself when you have peers and teachers who can help and do their job which is to teach you. Thank you so much for your review, Victor! We are thrilled you developed a real sense of community with your classmates and enjoyed the team building. You're completely right that the curriculum is difficult, but utilizing the boot camp's resources and putting in time outside of class will truly help you succeed. We commend all of your hard work and wish you all the best in your future endeavors! I signed up for this course because I wanted to learn development and this course is taught at a state university (though not through the university). Day 1 and you jump right in. You have about an hour of introduction and then you get your machines set up. This was supposed to be done before the class, but was either not done correctly by the students or they ran into issues. The aides and instructor went around the room and helped to set everyone up. The same class you learn a bit about the command line and some simple HTML. The speed at which this class goes is incredible. You will feel lost, you will struggle, but you will also learn. You are assigned about a project a week and the project will be about the stuff that you learned in the class that week. These are doable projects, but most WILL challenge you. Good news is that these projects can go into a portfolio and employers love to see examples of code that you did. They do offer job assistance, but it's far from ideal. I had the worst career services person while I was there. She is now no longer with KU so I'm sure it could only have improved. The career services offered included things like resume cleanup, interview practice, and things of that nature. The did't have job placement. Are you job ready afterwards? I would say that you are for entry-level jobs. This can be quite the challenge, but I did get several offers within my first 3-4 months of completing the bootcamp. This seems like it was pretty standard. Of my class, only one person took more than 6 months to find a job that I know of. Most people don't get jobs with exactly what you learned, but they're easy transitions. Some students got jobs in C#, PHP, Java, or even working in a CMS. The class started with about 22-24 students and ended with about 14-15 by the end of it. Most of the students that dropped out did so during the first 2 months. There were a few that dropped out as time went on and some of those because they already had jobs and didn't want to give their time to the class after. I personally spent the 10 hours in class and about 20 hours outside of class each week. Those 20 hours was divided between completing the projects they ask you to and hours that I spent watching videos and reviewing class content. This may have been more than necessary, but I feel that I got a good value out of the class. I would 100% recommend this course for anyone wanting to learn web development or coding in a short amount of time. *I was a student and do not work for Trilogy though I don't think I'd mind being a tutor or TA for the program. We appreciate you sharing your experience! Great advice for prospective students — completing the prework is a great way to get a grasp of the foundations prior to beginning the program. We are happy to hear that you learn a wide-range of new skills, benefited from the hands-on projects, and felt job ready at the end of the course. From your review, we understand you were unhappy with your career services experience. Like you mentioned, while we work hard to prepare learners to step out into the job market, we do not secure direct employment. We help individuals become employer competitive through a variety of resources and tools, including technical interview training, portfolio reviews, resume/social media profile support, and one-on-one coaching with their Career Director. We hope you were able to benefit from these resources. We're constantly refining our professional development curriculum to best equip participants as they step out into the industry, so we truly appreciate your feedback. We’d love to hear from you directly to see what else we can do at this time to help you feel equipped for success. If you would like, please reach out to us directly at (913) 439-1919. Congratulations on successfully completing the boot camp, we wish you nothing but the best in your future endeavors! An email with these details has been sent to KU Boot Camps. You've already applied to this scholarship with KU Boot Camps.